Do you use mindfulness CBT exercises? Mindfulness CBT exercises (Mindfulness Cognitive Behavioral Therapy exercises) are effective ways of stopping negative thinking and changing our beliefs. As a meditation teacher [read my guide to 31 meditation techniques], I am always on the lookout for alternative, complimentary ways to train the mind. And mindfulness CBT exercises are a great way to do that. But here’s a key point: CBT exercises aren’t just about “therapy”. If your mind is already healthy you can use mindfulness CBT exercises to make it even stronger. In fact, mindfulness CBT exercises are one of my absolute favorite ways to be mentally strong. I believe the mind is the most important tool we have. I believe a healthy, happy mind will produce a positive lifestyle, and a negative, unhappy mind will produce the opposite. That’s why I train my mind like an athlete trains their body, spending hours every day doing exercises to keep my mind in top condition. 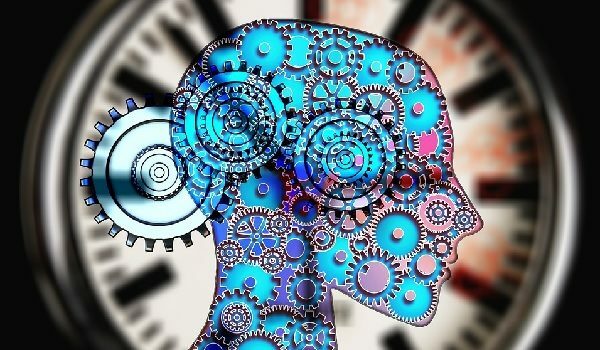 Mindfulness Cognitive Behavioral Therapy exercises offer an alternative to meditation, and can be used with meditation as a powerful way to strengthen the mind. In this guide I will show you all the best mindfulness CBT techniques. What Are Mindful Cognitive Behavioral Therapy Exercises And How Does MBCBT Work? CBT stands for “Cognitive Behavioral Therapy”. And of course, mindfulness refers to the meditation practice of mindfulness [read: Ultimate Guide To Mindfulness Meditation]. Exercises in CBT are basically about stopping negative thoughts. Once you stop those negative thoughts you can replace them with more positive and healthy thoughts. Put simply, CBT techniques are a series of cognitive thinking exercises you can use to correct unhealthy thinking. And honestly, it is one of the best mind training techniques. When I was a kid I was out of shape and was bullied badly for it, called fatso and lazy. I heard those words so much I began to think them. And the thoughts soon became a belief. It has been proven that our beliefs affect our perception of reality. Believing I was fat and lazy mad me live the life of a fat and lazy person— never exercising, eating unhealthily, and wasting time playing games and watching TV. At uni, I started to challenge my thoughts. Every time I thought I was fat and lazy I would immediately tell myself otherwise, and I would hit the gym to prove that those negative, harmful thoughts were wrong. That’s one way CBT exercises and meditation have changed me. So, how do you do CBT techniques? CBT exercises are ways of changing unhealthy and harmful thoughts. It usually (and preferably) involves a professional therapist. But you can definitely do CBT techniques at home too. Here are the 15 best CBT exercises to try. One of the most fundamental CBT exercises is to write a journal of moods and thoughts. When we do this, we are looking for patterns in our moods and thoughts. Once we notice a pattern we can take steps to change it. One of the main goals of cognitive behavioral therapy is to find and change negative and inaccurate thoughts. In particular, we look for automatic thoughts (thoughts that occur without intention) and repetitive thoughts. When we find these, we challenge them. The poor kid who thinks he is stupid just because he isn’t getting straight A’s, for instance, can find the counterargument, find ways he actually is intelligent, and start to erase the negative thoughts. My guide to making positive thinking automatic will help with this. For this exercise, we intentionally expose ourselves to situations in which we respond in negative or repetitive ways. We then intentionally recreate the event and try to act in a different way. This is a CBT exercise for panic attacks and anxiety. For this exercise, we intentionally recreate bodily sensations that we normally respond badly to. We then deliberately react in new, different, and healthier ways. This trains the mind to stop reacting to the sensation with panic and anxiety. Most of the time when we feel fear we immediately stop the thoughts. For instance, if we fear the dentist the moment we think of the dentist we force the thought aside. In this Cognitive Behavioral Therapy exercise, we actually allow the fear to continue to the end. We see ourselves going to the dentist, getting that painful work done, and then carrying on with life. This trains us to realise that even if the worst happens things will probably not end up that bad. This CBT exercise is a way to test how different thoughts and beliefs lead to different actions. For instance, if we believe that being hard on ourselves makes us work harder we experiment with the opposite. We try being nice to ourselves and see whether it creates a better result. This is an opportunity to change our behavior and see the results. This CBT technique is basically thinking the other way. For an example, let’s go back to our unfortunate kid at school who’s being bullied and flunking exams. He starts to think he’s a failure. He can write all the evidence that he is a failure. And then he can write all the evidence that he is a success. This gives our kid a better perspective. He now is aware of his shortcomings, but he’s also aware of his strengths too. Scientists have proven that positivity makes you healthier. But how can you train your mind to think more positively? intentionally schedule positive events in the future to look forward to. look at the positives from the past. look for positives in the present moment, focusing on all the good things happening right now. In fact, we should probably do all three of those things. This is a simple way to start thinking positively. write a list of our fears or of negative things we are worried about. list those events from best to worst. go through each event, starting with the easiest and working towards the hardest. And actually face those fears. This builds our tolerance for unpleasant experiences and trains the mind to overcome fear. It is a powerful CBT technique. For this CBT technique we simply write a positive version of every negative thought. “I’m ugly” we think, so we write “I’m beautiful”. In this technique, we simply remember all the positive things that happened in the past day. This final technique is about turning negatives to positives. When we think about a negative situation, or when we are actually in a negative situation, we immediately find things about the situation that we like. This trains the mind to stop dwelling on the negative and to see the positives instead. So that’s CBT exercises. How about MBCBT exercises (Mindfulness-Based Cognitive Behavioral Therapy exercises)? We’ve looked at 12 great cognitive behavioral therapy exercises. Now let’s take things further by introducing mindfulness. Mindfulness CBT exercises are powerful. Combining cognitive thinking exercises with meditation makes for a potent concoction. Mindfulness slows the mind so we can see what is happening in our thoughts. Mindfulness CBT exercises let us change those harmful thoughts. It’s easy to see why mindfulness CBT exercises are the best. What Are Mindfulness Based Cognitive Behavioral Therapy Exercises? I previously discussed using meditation with therapy. One way to do that is with MBCBT exercises. Mindfulness Based Cognitive Behavioral Therapy exercises are precisely what they sound like: combining mindfulness practices with CBT exercises. Cognitive psychologist Dr. Zindel Segal is the author of The Mindful Way [AMAZON]. Dr. Segal says, “[Mindfulness Based Cognitive Behavioral Therapy] combines the ideas of cognitive therapy with meditative practices… The heart of this work lies in becoming acquainted with the modes of mind that often characterize mood disorders while simultaneously learning to develop a new relationship to them”. Mindfulness CBT exercises are about studying the mind so we can take control of it. The mindfulness aspect is based on Jon Kabat Zinn’s mindfulness based stress reduction (Source: GoodTherapy.org). Let’s take a look at some of the best Mindfulness Based Cognitive Behavioral Therapy exercises. One of the main Mindfulness CBT exercises is “Three Minute Breathing Space”. It’s basically a quick mindfulness-of-breath exercise. Zindel Segal calls the Three Minute Breathing a “a practice for approaching experience from two attentional lenses, both narrow and wide”. (source: Mindful). For the first minute we observe how we are feeling, and describe those feelings in words. For the second minute we practice awareness of breath. For the third minute we continue focusing on the breath but extend awareness to the whole body. 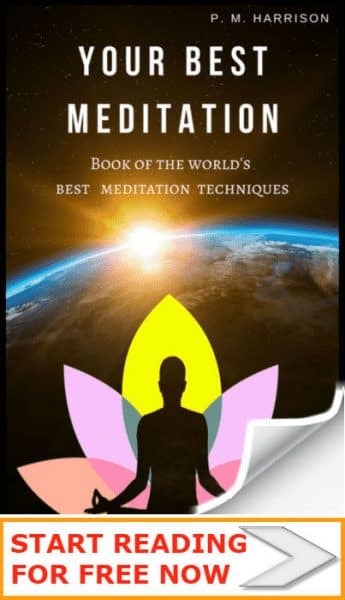 This version is a quicker version of the breath-based meditations used in Buddhism. Body scan meditations are a very popular technique. 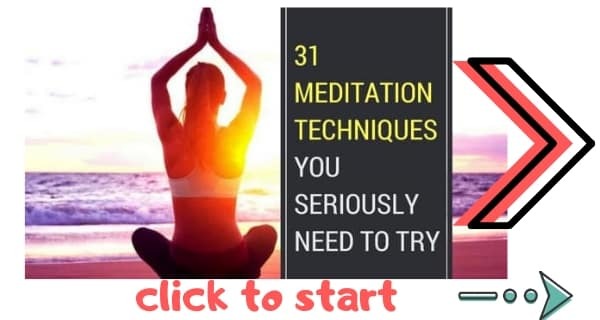 You’ve probably seen these types of meditation on Youtube and on meditation apps like Insight Timer. Read my full guide to body scan meditation for more on this. It’s a great way of increasing happiness and reducing the symptoms of anxiety and depression. Mindful stretching is precisely as it sounds: stretching while focusing on the body. Pandiculation: A ridiculously complex name that basically refers to the type of stretches we do when we yawn (palms on shoulders, elbows raised, mouth open). Proprioceptive Neuromuscular Facilitation: This is the type of stretch given to a football player who has cramp in their legs. Gomukhasana (cow-face pose): In cow-face pose we sit with crossed legs and interlock the hands behind the back in a way that expands the chest. Learn this pose in Yoga Journal’s guide. Side-to-side neck stretch: This is a very simple pose in which we use one hand to pull the head to the side. Eka Pada Rajakapotasana (One Legged King Pigeon Pose): In this position, we have the hips to the mat with one leg in front, perpendicular to the mat, and the other legs stretched out straight behind us. This is a more complex pose that beginners may struggle with. For a guide to this pose, take a look at YogaOutlet’s guide. The Scorpion: This is a modified version of Vrischikasana (Scorpion Pose). To do the pose we lie flat on the front with the arms out to the side. We then lift the right foot high up and press the right hip out. Next, we stretch the right foot to the outside of the left leg. It’s important to keep the chest and the arms on the flow while doing this. The CBT Stop technique is a method to stop negative thinking in its tracks. In CBT, stop technique is used to intercept bad thoughts and immediately change them. What’s the big picture of the thought? How important is the thought? What would you say to a friend who had this thought? What is the number one thing you could do right now to help yourself? Do it. The CBT downward arrow technique [here’s a guide by the excellent David D Burns M.D] is a technique to uncover core beliefs that harm us. The CBT Downward Arrow technique is usually done with a licensed therapist. The therapist chooses one negative thought from the patient’s journal. For instance, let’s say you have a negative thought that an upcoming work meeting will go badly. The therapist asks “Why would it upset you if this happened?”. The therapist then asks why that would matter, “If the boss is angry it will affect my work”. The purpose of the CBT Downward Arrow Technique is to discover the self defeating belief that is causing negative thoughts, and not necessarily to change it. We all know positivity doesn’t actually work. But there is an alternative: mental contrasting. When we force ourselves to think positively we refuse to see the more “negative” or more challenging aspects of reality, and so we do nothing to change those things. A better idea is the CBT technique of Mental Contrasting. Mental contrasting is a technique in which we contrast positive thoughts about the future with acknowledgment of the obstacles in our way. And vice-versa, we can balance out anxieties about the future by thinking about the positives preventing those negative situations from happening. Oettingen researched the effects of mental contrasting on fears and anxieties. The research shows that we can reduce anxiety in this way: When we think negatively about the future we think about the present reality and everything that is standing in the way of that future coming true. For instance, if you are worried you will become unhealthy, consider the present reality: you are healthy now, you exercise, you eat healthy, you make healthy choices etc. This contrast puts things back in perspective. Frontiers In Psychology recently published research into the effects of mental contrasting. This test showed that results showed that people who used the mental contrasting technique has significantly lower levesl of anxiety. After this, participants were asked to think about an actual event that would soon happen in their lives, an event they felt negatively about. Half the group were asked to also think about the present reality that prevented that negative situation from happening. The group that used mental contrasting once again had much lower levels of anxiety. Oettingen states that mental contrasting in this way can both help us to be successful and can also stop anxiety. We can use mental contrasting to stop anxiety and to develop self motivation. Let’s take a look at how to do both of these things. Visualize a wish coming true, or a goal being met. Imagine that your ideal reality is coming true right now. Imagine all the good things that would come from this wish coming true, and how you would feel. Identify the obstacles and problems that could prevent you from being successful. These could be inner or outer obstacles. E.g. : You want to lose weight but you lack motivation. Acknowledge it. Or you want to lose weight but you can’t afford the gym. Again, acknowledge it. Make a specific plan to overcome the negatives that are stopping you from being successful. We can also use mental contrasting to get a grip on anxiety. Visualize something bad happening. Imagine that your fear has become a reality. Think about all the present positives that are stopping the negative situation from happening. Make a specific plan to make use of the present positives to stop the thing you are anxious about. Want to learn more about mental contrasting? I recommend reading Rethinking Positive Thinking [AMAZON] by study lead Gabrielle Oettingen. In Rethinking Positive Thinking, Oettingen reveals the secret science of why positive thinking typically does not work. And she offers valuable insight into how mental contrasting can unlock our true potential. Besant Prashan has created an excellent guide to MBCBT Yoga, it explains how to combine mindfulness and yoga to heal body and mind. It’s called Yoga And Mindfulness Based Cognitive Therapy. As well as the practices above, MBCBT recommends doing everyday activities in a mindful way. Take a look at these 25 mindful habits for some great ways to introduce mindfulness to everyday activities. CBT exercises and MBCBT exercises are excellent ways of stopping negative, harmful thoughts and boosting positivity. And they’re made even better by introducing meditation. Which of the CBT techniques have you tried, and how did it help you?